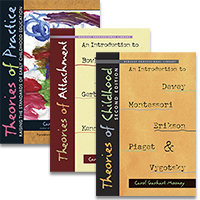 Carol Garhart Mooney has been an early childhood educator for more than forty years. 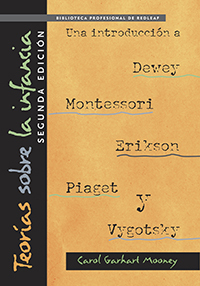 She is the author of Theories of Childhood: An Introduction to Dewey, Montessori, Erikson, Piaget, and Vygotsky; Theories of Attachment: An Introduction to Bowlby, Ainsworth, Gerber, Brazelton, Kennell, and Klaus; and Use Your Words: How Teacher Talk Helps Children Learn. Carol has received the Distinguished Faculty Award for teaching at Granite State College, and was twice named Early Educator of the year. She won NH Press Woman’s Awards for Family Pages writing and is a past president of NHAEYC. She lives in Dover, NH. Teachers support cognitive development through meaningful classroom conversations. 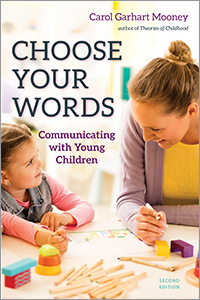 This updated edition examines adult communication and its influence on children’s behavior and learning. Transform the language you use in the classroom to support language learning, connect words to actions, and develop clear communication practices. Age focus: 2–5. Softbound, 168 pgs.